Date: 6.03.2018 | House, Techno, Minimal | Tags: Oblack Label, Anek DJ Mix, 5 Years, Oblack, Max Jacobson, Angel Ramos, Arbg, Los Pastores, David Gtronic, Neverdogs | Download Anek DJ Mix - 5 Years Of Oblack (2018) for free. 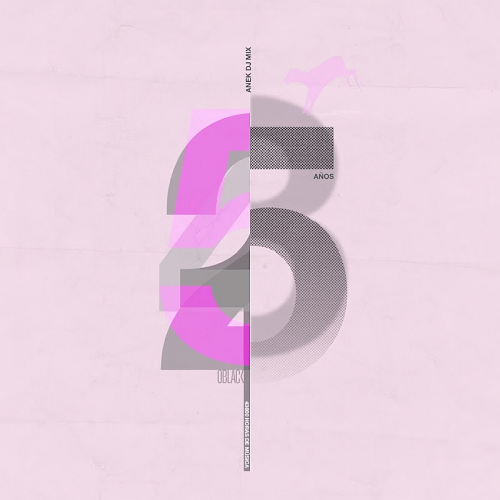 This time, for our 5 Years Of Oblack, Anek have shown their potential when mixing music once again. We can verify why these two girls triumph everywhere they go. Their mix of styles is famous for a great subtlety worthy of the greatest Artists and which can amaze any music lover on the dance floor, always fusing groove styles with Deep and Tech House touches of the highest quality. Los Pastores are people on the move, thats for sure. So not content with their hyperactive and successful works as producers, and deejays of considerable scope and projection. Oblack label arises therefore, a new record label platform based on the sound principles of this Valencian duo, which transcends to dreamingly music spaces where the most underground groove stands at the very top.